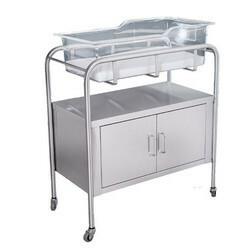 Leading Manufacturer of baby bassinet from Hyderabad. 4 Nos of 100mm dia. Castor wheels, two of them with breaks, diagonally fitted. Size Avilable as per user need. Looking for Baby Bassinet ?